The Association of Southeast Asian Nations (ASEAN) is deeply concerned that escalating tensions between North Korea and the United States of America could lead to war. This view was expressed at the end of the 30th ASEAN Leaders’ Summit in Manila on the 29th of April 2017. Given the gravity of the situation, ASEAN could perhaps have been a little more proactive. It should have rejected any military solution and argued for a negotiated diplomatic settlement of the conflict. For negotiations to begin there will have to be some preliminary gestures from both sides. North Korea should suspend all nuclear and missile tests while the US and South Korea should halt their joint military exercises. Though this idea was first suggested by the Chinese Foreign Minister, Wang Yi, ASEAN should have put it forward as its own proposal. ASEAN should have gone further and offered to host talks among all the six principal actors in the conflict — North and South Korea, China, the US, Japan and Russia. A strong push by ASEAN for the immediate re-commencement of the six party talks at this juncture would have carried a lot of weight. Unlike the first six party talks from 2003 to 2008 which made little progress the talks this time should go beyond North Korea’s nuclear weapons programme. It should address some of the underlying causes of the tension and friction in the region as a whole. For instance, North Korea began its nuclear testing and its missile firing as a response to the massive US- South Korean joint military exercises. This is why issues pertaining to US-South Korea military ties; the US military relationship with Japan; and the stationing of thousands of US military personnel in a number of bases in both South Korea and Japan cannot be divorced from North Korea’s military posturing. What this means is that while the North Korean leadership’s belligerence has undoubtedly contributed to the current conflict, the US’s drive to maintain its hegemony over North East Asia has also exacerbated the situation. This hegemonic agenda — especially if it is viewed against the backdrop of the Korean War (1950-1953) — is directed against China and Russia which are both neighbours and allies of sorts of North Korea. Even after the end of the Cold War (1949-1989) the US has continued to see North Korea from a power perspective shaped to a great extent by the position of South Korea and Japan, on the one hand, and the presence of China and Russia, on the other. If these fundamental issues are ignored, and all that one is focused upon is how to tame a recalcitrant state, the instability in North East Asia and the danger it poses to regional and global peace will persist. Hence the urgent need to hold comprehensive talks aimed at resolving the primary and secondary causes of the continuing conflict in the Korean Peninsula. The alternative to peace talks is war — a devastating war that will impact upon not only North East Asia but also the rest of the continent and indeed, the world. The urgency of convening talks cannot be overstated. 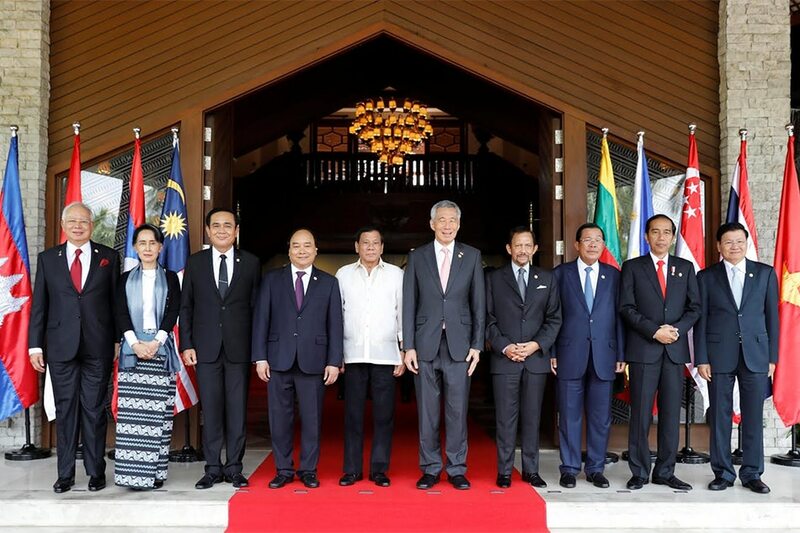 It is not too late for ASEAN leaders and people to speak with one voice and plead with the six states to re-commence the six party talks immediately.